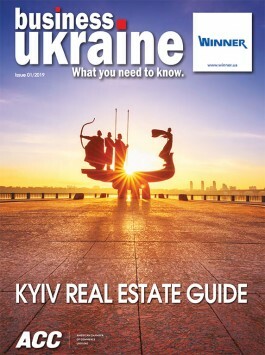 Officials at Kharkiv’s Karazin National University have confirmed that students and academics have begun using the Oxford University Press database provided to the university by DCH Group president Oleksandr Yaroslavsky, who is a long-term supporter of higher education in the city and the recipient of an honorary doctorate from the university. The Oxford University Press database features more than 300 English-language scientific journals published by Oxford University covering a wide range of disciplines including everything from medicine and mathematics to economics and the humanities. Kharkiv students have already been introduced to the database and offered tips on the possibilities it creates via a series of special seminars. Yaroslavsky presented the subscription to Oxford University Press during a January ceremony where he received his honorary doctorate. He joined fellow honorary doctors of the university including Johann Goethe, Leo Tolstoy, Ivan Franko and Boris Paton. In addition to Karazin National University, Yaroslavsky has provided support to a number of other institutes of higher education in the city including Kharkiv Polytechnic Institute, Kharkiv Food Technology University, and Kharkiv National University of Urban Planning, where he also holds an honorary doctorate. As part of ongoing efforts to celebrate Kharkiv’s academic achievements, Yaroslavsky has financed the erection of monuments to the city’s Nobel Prize winners Ilya Mechnikov, Lev Landau and Simon Kuznets along with Ukrainian literary pioneer Petro Hulak-Artemovsky. Yaroslavsky’s DCH Group has also established a strategic partnership between Karazin National University and Kharkiv Tractor Plant.